Not a lot of companies are hiring these days, certainly not banks or car manufacturers or airlines. Blogs are one of the few growth sectors for employment. Spot Cool Stuff, not incidentally, is looking for a writer for our Media department. Which lead us to think about blogging jobs in general. And then that lead us to research and write this post. Most blogging jobs are freelance positions. And most of these are for people who do the actual blog writing. The vast majority of freelance blog writing jobs do not offer a living wage, sadly. (Yes, this includes the Spot Cool Stuff media writer opening). Writers for blogs are usually paid $10~30 per post and/or given a cut of their posts’ advertising revenue. If you are a published writer with serious expertise you might be able to get commissioned to write a single long post for between $100 and $500. Blogs in Europe pay a little more—replace the $ signs in this paragraph with a €. Blogs also hire designers and programmers and, occasionally, photographers, text and video editors, SEO specialists and marketers. 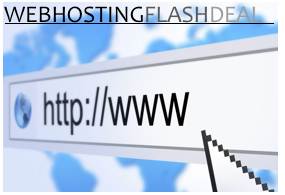 Blogs pay around market rates for these services. However, most of these gigs are for one-time projects. In short, it is hard to make a consistent living through freelance blog jobs. However, these jobs are a great way to supplement your income or to help tide you over financially while you are between jobs. Best of all, you can do your freelance blogging work from the comfort of your home, on your own schedule, wearing nothing but your robe and underwear (or just the underwear, if that’s how you roll). HubPages is our favorite way for freelance blog writers to make money. Because you don’t have to apply to work there. You don’t have a boss and you can write about whatever you want. The way it works is: You sign up with HubPages and their partner affiliate programs. Then you write your posts (called “hubs”) and 60% of the sales and ad revenue they generate goes to you. HubPages has an intuitive online editor, so you don’t need to know anything about website design or coding. And HubPages has an active community and an established site, so you don’t need to worry about page rank or search engines. Writing on HubPages is not instant money—it requires time and commitment. That said, there are average writers making $500~$1000 a month through this site. So create your free account and then read this overview on how to get started by a long time HubPages writer. Craigslist has more ads for freelance blog positions than any other site. The problem is that Craigslist is organized by location. Further, some freelance blogging jobs are posted on Craigslist under their “job” category while others are filed under “gigs.” And there’s no way to search across multiple locations and categories . . . or is there? Search All the Craig’s will scour posts on the whole of the Craigslist network regardless of the city or content category. You’ll get the best results searching for the position you want (eg. “blog writer”) rather than something generic (eg. “blog job). BloggerJob.biz might have the best collection of non-writing freelance blogging jobs. The site’s navigation is a bit confusing—we suggest perusing the site’s archives and then checking out their forum. Pro Blogger has relatively few blogging jobs listed, but because employers pay $50 to post here (Craigslist and BloggerJob.biz are free) the positions here tend to be more professional and higher paying. Just Tech Jobs might be the single best source for full-time blog jobs in the United States. As we write these words Just Tech Jobs has over 1,000 blogging related positions listed including openings for writers, designers and developers. Media Bistro has a great job board with an emphasis on creative multimedia positions. Consider, too, pitching your blog creation services to a company that you think could use a blog incorporated in their website but doesn’t yet have one. Many companies want a blog but haven’t made hiring for it a priority. Of course, to get hired to work on some one else’s blog job it is crucial that you already have experience publishing your own. For great advice on starting a blog, and for a free 30-day course on the subject (if you sign up for hosting through the site), check out Upstart Blogger. I think you left a big one out: it’s called web.spotcoolstuff.com, heard of it?! A lot of cooler websites are cool cos they know the value of great content. Your constant updates of the best of the web can be used as a ‘freelance blog leads’ board if you like. Some of the sites you review have direct links to details about how to get paid to contribute to their sites in the menu at the bottom of their homepages (where all the terms and conditions and privacy stuff goes). Others are open to pitches and paid blog contributions if you offer something up. Your site can be a great source for freelance bloggers who are willing to do some virtual cold calling. All the same, there were a couple in your list that werent on my radar and i havent yet tried writing via hubpages. Thanks for the post. Wow, great overview of everything – you’ve definitely done your research. Thanks for including HubPages in the mix – I’m glad that we made the list! 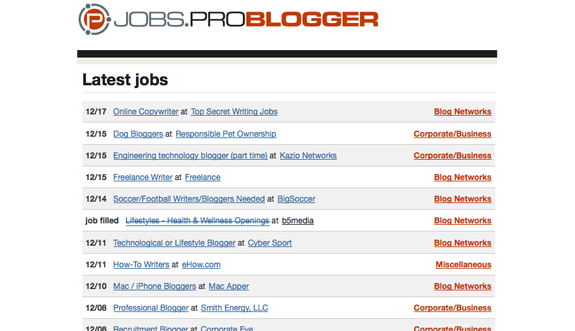 Also, I can’t say good enough things about both BloggerJobs.biz and Problogger.net. They are both fantastic sites that are as legit as they come. Cool list, i will try some of them.